Read up on this year's 30 most popular productivity apps and how they'll help you stay as organized, focused, and efficient as possible. To say that I’m a planner is an understatement. I’m always making to-do lists and live by my calendar that has repeat reminders for weekly and monthly things I need to get done. When “The Life Changing Magic Of Tidying Up” became popular, I felt instantly validated. The problem was that all this planning and list making and calendar organization — well it wasn’t actually very organized. I’d have a few different notebooks and sticky notes scattered throughout my apartment, car, and various bags for work. My calendar was stuffed with random papers and often got left at home or work — never where I was when I needed it most. So you can imagine that it was actually “life changing” when I discovered a few key productivity apps for my phone. Now, I had my to-do lists with me at all times. (Let’s face it: Are we ever more than a few feet away from our phones?) I could sync my calendars and share them with friends and family to keep us all on track. I could get push notifications to remind me to make that doctor’s appointment 6 months from now and send a friend a birthday message. 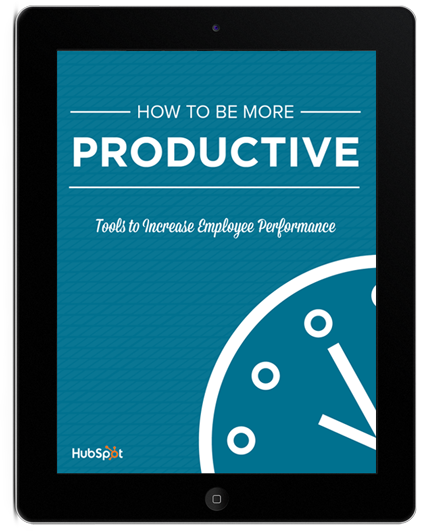 It’s no surprise that productivity apps have become so popular. Most of us have too many priorities, commitments, work, and other things — and not enough time. But luckily, there are apps — most of them free — you can download to make your life easier, more balanced, more productive, and most importantly, more in control of your time. Check out this list of some of the year’s most popular apps, organized by category. And download a few to become the most efficient version of yourself. If you’re someone who admittedly needs a little help in the organization department, or if you’re a “Type A” personality who loves planning, then time management and scheduling apps could be a great option for you. These apps help with short- and long-term planning, as well as efficiency, so you can enjoy as much free time as possible. You want to plan out your days and create to-do lists, but you’re also a minimalist. Blink is the app for you. If you’re somebody who loves to organize your tasks by the time of the day, Things may be of interest to you. The app, which costs $9.99, has a feature that helps you manage your time by separating your daily tasks into three sections: Today, This Evening, and Tomorrow. Taskful’s progress bar takes completing your to-do list to a new level. The bar moves forward as you continue to check off your tasks throughout the day, giving you a sense of accomplishment. The app even tracks your steps so you can stay in line with both your work and health goals. Users can create an inbox in Taskful that syncs with other devices and sends email reminders. The app even pushes encouraging messages throughout the day to your device to keep users motivated. If you’re a fan of bright colors, you’ll enjoy the app’s aesthetic as well. Added bonus: Taskful is free. If you have a Gmail account, chances are you’ve heard about Google Calendar. The app gives users smart suggestions to help them be more productive during the day. These suggestions include ways to easily find times for meetings as well as how to quickly book meeting rooms and locations. For example, if you write, “Send in final draft of paper tomorrow by 4 p.m. #journalism,” the app will then set a reminder for you at 4 p.m. tomorrow in your “Journalism” project. 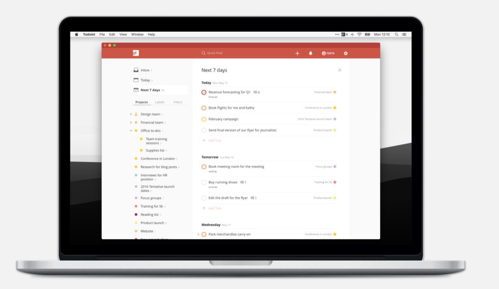 Todoist, which is free, also allows you to effectively manage group work by assigning tasks to different people. Do you ever find yourself aimlessly browsing the internet? Scrolling through your Instagram feed even though you know there is significantly more important work to be done? Staying focused is hard these days — distractions are everywhere. Focus apps will help you stay in control of your tasks and manage your time more effectively. This free app uses the Pomodoro Technique and places individuals in “Focus Sessions” for 25 minutes at a time. During that 25-minute period, users focus on a task and try to get as much done as possible. After the session ends, they can take a short break. Once the individual completes four 25-minute sessions, they get a 15-20-minute break to do whatever they want. Forest is a pretty unique productivity app that works on any iOS device. If you consider yourself an environmentalist, you’re going to love this. When you want to focus, you open the app and virtual trees begin to grow. If you close the app while a tree is growing, you’ll watch it deteriorate. Freedom allows you to block specific sites during the time you want to focus and get work done. There is a pre-generated list of sites you can choose to be blocked from. You can also add to that list if your time-wasting sites aren’t there. You can schedule these focus sessions in advance and even make recurring sessions. “Lockdown Mode” ensures even the sneakiest of users won’t be able to work around the system and become distracted. Freedom offers users seven free blocking sessions before requiring a subscription fee. The app forces you to practice good focus habits. And if you don’t feel like working on those habits, don’t worry — the app will block you from all of your time-wasting sites anyway! Mindfulness also has an integration with Apple’s Health App, so you can continue to keep track of all of your personal health goals in one place. The app is free, and the guided meditations range in time from 3-30 minutes. That’s right – 3 minutes. Now you have every excuse to start meditating. Do you have a bad habit you’re hoping to get rid of completely? Or a good habit you want to retain? Strides combines all of your good habits, the routines you want to continue, and your personal goals into one app. We are all guilty of oversleeping now and then. Some of us simply aren’t morning people, hitting snooze over and over again and ending up being late for work or other important events. That’s where Kiwake comes into play. You can also play a mini-game to wake up your brain while laying in bed. And lastly, you can review your tasks for the day to get motivated and up to speed on what needs to be accomplished. Kiwake does not have a snooze button, so there’s no way around getting up for the day. It’s safe to say you’ll have time to make breakfast every morning after downloading this app. Extra points for your personal health goals! You can gain access to all that Quip has to offer on any device, at any time. Quip has integrations with numerous other apps, such as Dropbox and Slack, to make your team’s experience even more streamlined. This is a really simple option for anyone looking to improve organization and communication among team members at work. The PDF Editor is $9.99 and allows you to do all of that. For starters, you’ll be able to change text and images on any PDF that comes your way. Users can even sign, send, and export documents straight from the app. Trello is a free app made for solo or group work. Whether it’s making a to-do list for a quick-turnaround project, managing an editorial calendar, or tracking a 6-month redesign, the app has a layout that works. Users can list multiple projects at once and make them visible to their whole team on the app’s dashboard. 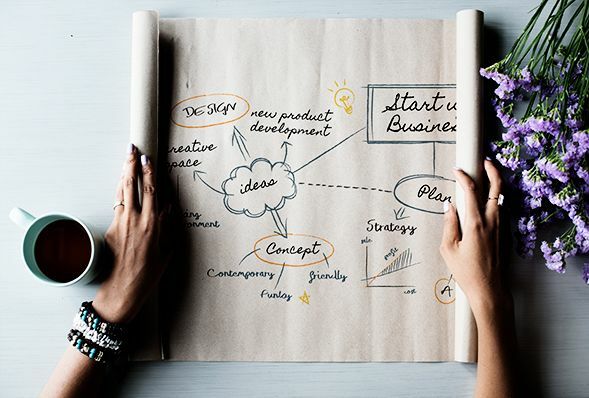 There are project boards with deadlines to clearly lay out the steps necessary to achieve success at the end of the project. The boards and steps within them can be assigned to a group or one person. Trello has features that give users the ability to attach documents, videos, and pictures. If you’re on a team where people are all working on different pieces of the puzzle at once, Trello is a great way to ensure everyone is on the same page and aware of overall progress. This file manager is free and a great addition to your toolbox if you’re frequently using cloud-based storage. The app is free and securely stores all of your usernames and passwords in the "Vault.” It helps you generate strong passwords and creates online shopping profiles for the sites you frequent most. LastPass automatically enters your login information for you when you visit a site, so there’s no scrambling to find that hidden password list you created. For those of you who are slightly skeptical about security, LastPass lists their advanced protection system features online, which includes an AES-256 bit encryption (you’re the only one with the password to your encryption key) and the option for additional security, like an optional pin, multi-factor authentication, TouchID, and offline options. With LastPass, you only need to remember one password (your encryption key) to get into all of your online profiles. Not only is the chat function easy to use, but you can also share documents, photos, videos, and more. Personally, I’m a fan of the feature that allows you to send GIFs to your co-workers. For those of you who feel bombarded by emails throughout the day, fear not! Trove was created to relieve that stress and help you flag the most important emails you need to read and respond to immediately — or later on. If you’re someone who not only receives a lot of emails but also needs to respond to them quickly, then Trove is a great (and free) opportunity to keep your connections and thoughts organized. Astro assists with both your email and calendar productivity. The app provides users with an assistant – virtual, of course – that helps you organize your emails by importance. The assistant works with you to create follow-up reminders and adds them to your in-app calendar. Astro efficiently manages your email and calendar so you know exactly what needs to get done first. Any email that needs immediate attention is highlighted. You can unsubscribe from emails while in the app, as well as move your most important messages into a “Focus Inbox.” Astro is free and has a Slack integration. Newton is another popular email productivity app that has several more features than the other two options mentioned above. It’ll cost you a monthly subscription fee, but it may be worth it. Newton has read receipts, sender profiles, instant push notifications, undo send, snooze (so your emails come back to you at a more convenient time), and a “Tidy Inbox,” which separates important emails from junk mail and spam. Are you someone who's constantly jotting down notes, thoughts, and to-do lists, and then forgetting where those lists are? Sometimes you need to quickly record information, and other times you need extensive notes on a specific topic. 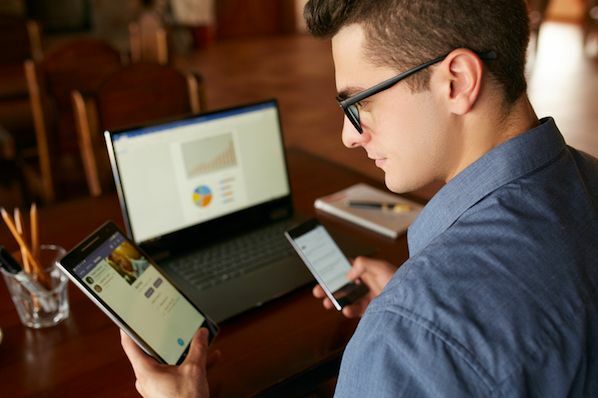 Writing and note-taking productivity apps have functions that help users record information in an efficient manner, with plenty of editing, sharing, annotating, organizing, and exporting options. Professionals, teachers, and students can all benefit from this writing app. The app, which costs $9.99, is a simple tool used for paperless note-taking, PDF annotating, free handwriting, and sketching (if you aren’t a fan of typing). Users can complete and sign all types of documents with Notability, and send them straight from the app. If you’re someone who enjoys both writing and typing notes, then Notability could be a great option for you. The app has a feature that turns written notes into typed notes, so you can keep all of your information in one place. Additionally, if you’re in an important meeting or class and want to ensure you don’t miss a beat, you can record audio as well. The app even has a function to build checklists and detailed outlines if you want to write in-depth pieces while in class or at work. And don’t worry about saving all of your information to Notability and losing it. All of your work is backed up to the cloud, making it easy to access it from anywhere. The Hemingway Editor app is exceptionally useful to anyone who writes often. The app makes your writing as clear and concise as possible by bringing wordy prose to your attention. It’s kind of like having your own virtual editor. And don’t worry if you’re thinking, “Sounds great, but I like to write from the beach or the mountains.” The app works offline, so you can continue writing from your favorite internet-free, inspirational locations. Are you someone who finds handwriting notes inefficient? Maybe you’re a fast typer but you still find yourself in situations where you can’t keep up with a speaker or lecturer? Otter is a note-taking app that combines audio, speaker identification, and transcription. The app is a useful tool for journalists and students alike. If you ever need a “chill” day where you can sit back and listen rather than furiously take notes, you should try this app. The app is designed to transcribe long-form conversation, so don’t worry if you find yourself in a long lecture. Otter will identify each of the people based on their voices if you’re listening to multiple speakers or are interviewing multiple people. If you’re a visual person, then the app will also work well for you — it highlights the words it transcribes in real time. And if 600 free minutes of transcription isn't enough for your lectures, classes, and interviews, you can upgrade your account to premium and get 6,000 minutes of recording time. Descript is another transcribing app with audio word processing and web publishing functions. 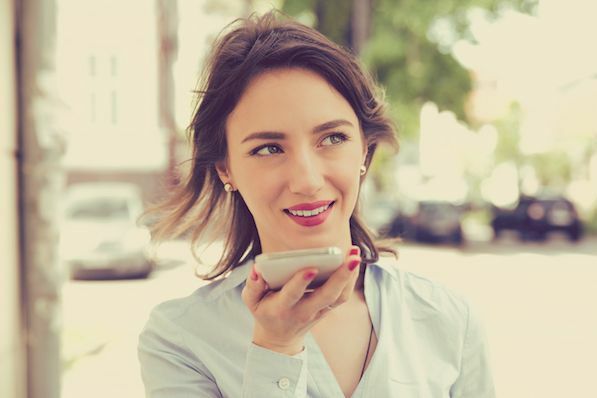 It’s a useful tool for those who conduct regular interviews, want accurate quotes from their subjects, and hope to share their audio with listeners online. This is a great option for those times that require you to take in a lot of information both efficiently and accurately. Descript is exceptionally helpful in interview scenarios. Once the app transcribes your audio, you can edit, cut, and remix the recording. The editing “Wordbar” is a feature that sets this app apart from competitors. The horizontal bar allows you to easily drag words closer together to get rid of unnatural pauses or separate them to give the listener a moment to breathe and understand what they just heard. The last type of productivity app I’ll mention is helpful for those of you who need scheduling support. This includes social media planning, scheduling in-person workplace meetings, and event planning. The app, which is free, is a way for users to schedule their social media posts — which may include multiple pictures and videos — in advance. Crowdfire then gives users the analytics behind their posts so they are able to track engagement and see what’s working and what needs to be modified. Crowdfire is a simple app with features that go a long way since successful social media planning takes time and effort. With a planning app like Crowdfire, you can sit down and work on your company's social media accounts for a specific amount of time, then have your work automatically post whenever you choose. No more headaches when it comes to social! When you’re trying to book a meeting, get together with friends, schedule a book club, or plan any other event that includes multiple people, it can be hard to find a day and time that works for everyone. Sending texts and emails back and forth to find a date that works is inefficient and time-consuming. That’s where Doodle comes in. This free app allows users to find the best date and time for any event by suggesting a number of options for invitees to select their preferences. Doodle is so user-friendly that your invitees don’t even need the app to choose their preferences. It works via iMessage, Facebook, WhatsApp email, and more. There is even a calendar integration to avoid any confusion between you and your invitees. Doodle is the ultimate way to get as many people as possible to attend your important meeting, party, or event. Productivity apps are tools that not only impact the quality of your work but the time you spend away from work. Who doesn’t want to spend less time worrying about being productive and more time actually getting things done?